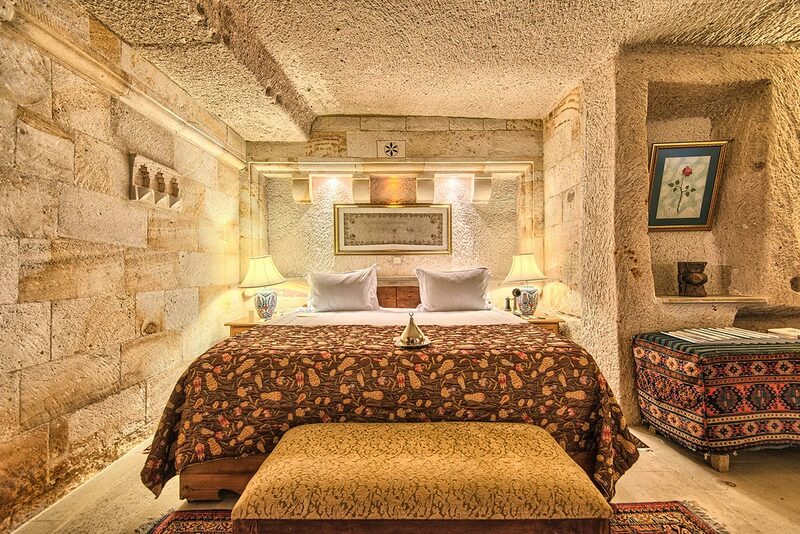 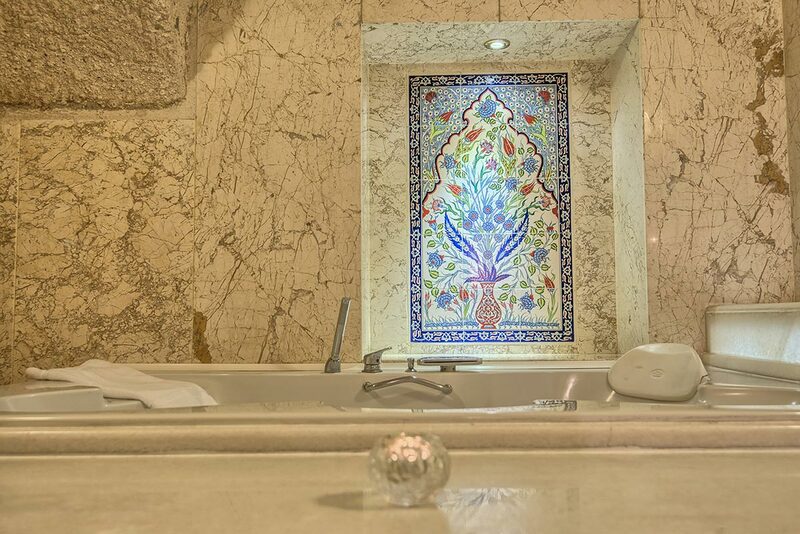 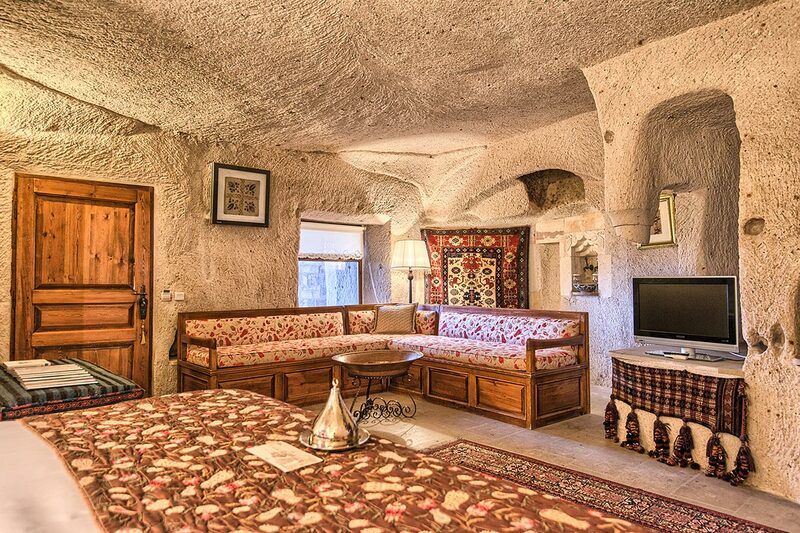 Naile Hanım Cave Suite is at once distinctive with its mystical architecture. Like the other rooms in the hotel, this suite also has rich decoration and antiques in harmony with color. The heated massage marble and the wine taps are among special details provided for you.